This book was created by a team of individuals who each, in their own field, are actively participating in the ever-expanding Internet by pushing its reach farther than ever before. The massive popularity of wireless networking has caused equipment costs to continually plummet, while equipment capabilities continue to increase. By applying this technology in areas that are badly in need of critical communications infrastructure, more people can be brought online than ever before, in less time, for very little cost. Home networking doesn't always work as simply as it should, and while every company is making efforts to simplify it, not all attempts have been successful. This guide outlines everything you need to know to manage your own home network. Asynchronous Transfer Mode (ATM) has become an integral part of the networking infrastructure. 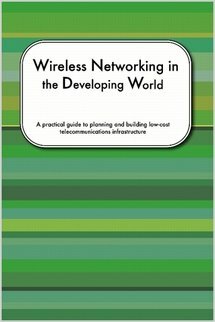 This introductory text on ATM networks describes their development, architecture, congestion control, deployment, and signaling in an accessible way. This book intends to explain to you the overall utilization that P2P (Peer-to-Peer) technologies have in today's world, it goes deeper into as many implementations as it can and compares the benefits, problems even legal implications.